If you remember, last week we were all excited because fall had apparently fallen and we were finally experiencing some cooler weather. Psych! It’s supposed to be 97 degrees this weekend. Despite the “cooling” trend, we did find some things that amused us this week. 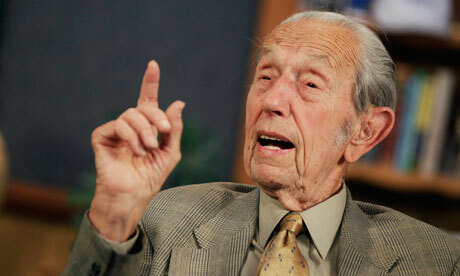 Harold Camping’s back. Remember way back in May when we were expecting the zombie apocalypse? We wrote about it here and here. Mr. Camping in his infinite wisdom had declared that May 21 was the hot day. Hot literally for us non-believers. Well, disappointed as we were that it didn’t happen, we have another shot at it. The new date is October 21. Apparently the Rapture will be a much quieter affair this time around. We’ll see you in Hell. Wear layers. Phoenix Jones. You know what we think the world needs more of? Wacky crazy people. Honestly, we’re a little tired of these run-of-the-mill crazies out there that get all the air time on the news. The world needs more people like Phoenix Jones, a “superhero” from the Seattle area. He has his own suit and mask and he runs around breaking up fights and spraying women with pepper spray. He may be misguided but at least he’s a crazy with flair. His Wikipedia page says he the leader of a ten-member costumed vigilante group calling themselves the Rain City Superhero Movement. You really need to go to the page and see who they all are. Really – how can you not love these guys? Can't you totally see it? generation or the correct sexual persuasion, but this story caught our eye. Michael Douglas is going to play the showy pianist in an HBO movie. We’ll pause here while you contemplate that. Are you ready to move on? Do you need a tissue? Hold on to your pants while we tell you that Matt Damon will be playing his young lover. 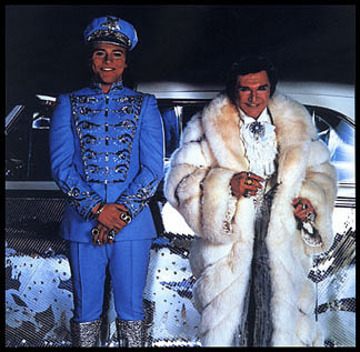 They’re calling it, “Behind the Candelabra.” Whew! That’s good stuff. We’re going to have to stop here if we plan to get anything else accomplished today. Nebraska and zombies. 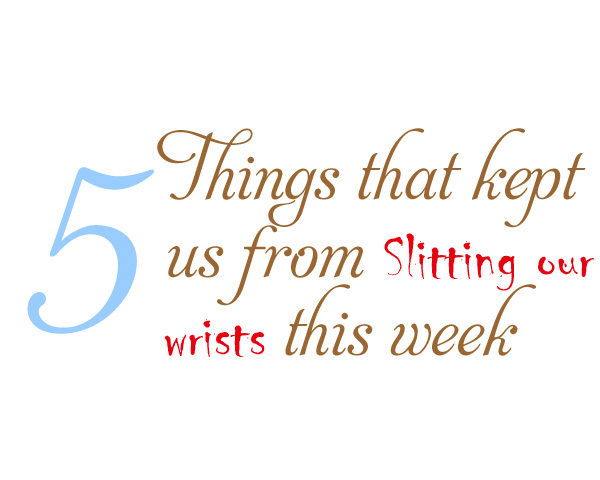 We seem to be fascinated with this topic lately. Nebraska is one of those quiet little states that sit up there all unassuming, but we think we need to pay better attention. Perhaps they know something we don’t. The Ace Hardware stores up there are stocking zombie preparedness kits. Some might scoff and say it’s simply an excellent marketing ploy considering the season, but what if it’s not? Whatever the case may be, those Nebraskans are very funny people. The quiet ones can be sneaky like that. Or, maybe see #1. Dragon King. The Dragon King got married. He is the king of Bhutan and he married a lovely commoner in a 17th century Buddhist ceremony. First of all, if you have to take on the responsibility of being king of somewhere at least take on an awesome title like “Dragon King”. That totally rocks and, if you get into a land war, we suspect that would scare the hell out of your enemy. Or it should. And second, we totally approve of all these kings and princes marrying commoners. This is an excellent trend.